LETS HAVE SOME FUN WITH THIS ONE!!! and a Gorilla Gear goody bag of t-shirts/hoody/CDs!!! And Make Sure U Follow Those Pages! 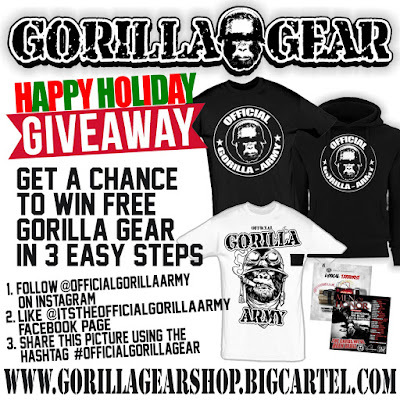 GORILLA GEAR HAPPY HOLIDAYS GIVEAWAY!!! 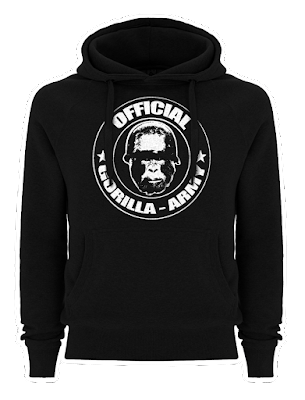 To celebrate the holiday season Gorilla Gear are giving away a pack of Gorilla Gear to one lucky winner who will receive an OG logo t-shirt and OG logo hoody, plus a selection of Gorilla Army CD's, and they'll be the first to rock the new shirt design coming in 2018.